The two-level building sold for $1.675 million at a circa 4% yield. It has a lease to Camberwell Sewing Centre and is on a 185sqm site with on-site parking and rear access, and which backs onto a council car park. An investor acquired the two-storey shop and dwelling in Newport Village for $875,000 with vacant possession. The 186sqm site has on-site parking and rear access. The 248sqm corner site comprising Aesop’s offices sold for $3.4 million, at a 4.22% yield. Zoned Commercial 1, it has a 342sqm building and combined triple street frontage of 47m. The skincare company has a lease running until 2021, and will be moving to the under-construction Northumberland development nearby. Changing hands for the first time in 80 years, the former Foodworks supermarket site of 796sqm sold with vacant possession for $3.8 million. The triple-fronted property has a combined exposure of 78m and is zoned Commercial 1. The 40sqm space, leased to Boutique Estate Agents, sold for $360,000 at a 5.42% yield. Melbourne-based bridal wear designer Bernadette Pimenta Couture will open its new atelier on the former office floor of 187sqm, signing a 3 3-year deal at $50,000pa net. Telstra leased the refurbished 70sqm shop at $55,000pa, or $785/sqm. The space is part of a corner building with eight retail spaces and first floor office. General Games leased the 160sqm ground floor space at around $500/sqm, which will be the board and card games retailer’s fourth site. International law firm Jones Day Lawyers leased 1,000sqm across level 48 of the Rialto tower at around $925/sqm net. Accounting software group Xero leased the 1,450sqm office on a 2.5-year deal at around $380/sqm. Vita Medical Centre signed a 5-year lease over the 57sqm space at $950/sqm. Ecostore, a manufacturer of sustainable products, leased 164sqm at $350/sqm in a 3-year deal. A Melbourne-based investor acquired the 4,138sqm facility, on an 8,104sqm site, for $4.35 million. It sold at a 7.6% yield, with the current lease to AGCO Australia ending in July. An owner occupier purchased the new 1,028sqm office and warehouse building for $1,387,800. The 2,916 sqm office and warehouse property sold to an investor for $1.85 million, at a 5.2% yield. Searle Bros Building Contractors acquired the vacant 319sqm brick factory for $585,000. It is on a 439sqm site with four parking spaces. Tomax Logistics leased the 4,605sqm facility from owner Centuria on a 3 3-year deal at $85/sqm gross. Partial heritage-registered properties present valuation challenges: A collection of Melbourne’s most notable buildings, including 333 Collins Street and the Myer Emporium, could reasonably have their site valued at $1 following VCAT’s recent Melbourne GPO determination, according to Fitzroys. In December, the owners of the Melbourne GPO were able to have their site value reduced to $1, from $14,800,850 as at January 2016, and hence a nil land tax liability. However, there are a number of heritage properties across Victoria that may not benefit from the decision. Fitzroys Associate Director, Chris Nicodimou said properties that have only part heritage registration would present challenges throughout 2019 and beyond following the determination. VCAT’s GPO decision established that for the parts of the land that do not contain the heritage-registered building, it remains relevant that these areas form part of a larger parcel of land that is affected by the heritage registration, and which may therefore create some impediment to their development or use. Nicodimou said that it followed that buildings with partial heritage registration should in most situations also be valued at $1. David Jones Melbourne, 170 Russell Street, Melbourne and the Nylex site in Cremorne, among others, demonstrate there is a case to have these site values reduced to $1,” he said. All the above properties are having their current site values objected to. Fitzroys had previously successfully argued that the site value for 142 Flinders Street – the Duke of Wellington, on the corner of Russell Street in Melbourne’s CBD – should be reduced to half of $9,600,000. The property comprises a 706sqm parcel of land, with 250sqm heritage registered and 456sqm unencumbered. “The basis for the reduction was that the heritage registered part of the land was nil value given the now-accepted GPO principle that the cost of the existing heritage building exceeded the market value of the property, while the balance of the land carried all the reassessed site value,” Nicodimou said. “According to the recent GPO decision, given the integration and connection of the two parts of the buildings (where there is a modern addition), and that services, infrastructure, common areas and so on are shared, the ‘total value of the land’ ought not to be assessed on a ‘piecemeal’ basis. Rather the entire property must be considered as one. 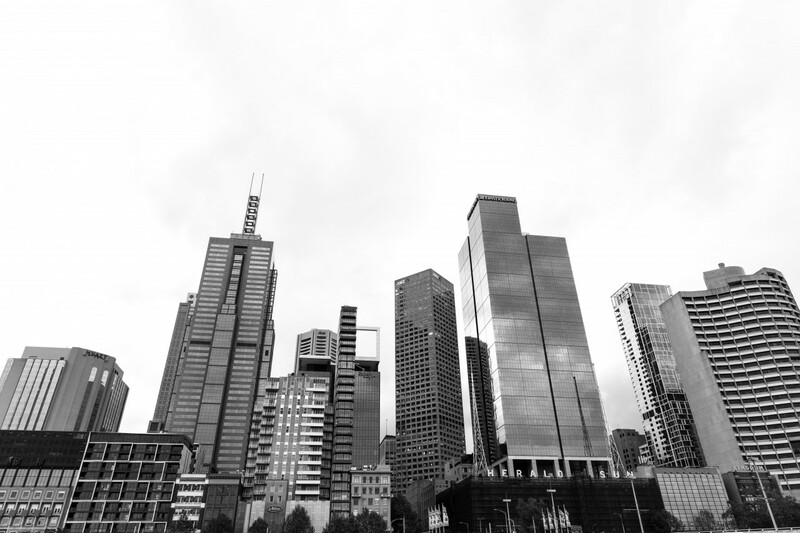 Disclosure: The weekly Fitzroys Property Wrap is for information only on transactions in the Melbourne property market. Fitzroys provides this information as a public service. We are not purporting that all sales and leases within this report were transacted by Fitzroys. Terms/Privacy © Copyright 2019 Fitzroys.